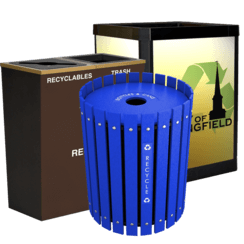 Like the vibrant and prosperous Western Massachusetts college town for which it is named, the Amherst Collection of plastic lumber recycling bins are smart and beautiful. 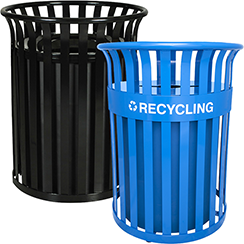 Built from recycled plastic milk jugs, they’re sustainable from start to finish. 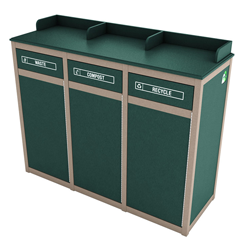 Available in configurations of single, double and triple stream count, Amherst bins are the perfect choice for dining halls, cafeterias, campus center restaurants or any food service environment. 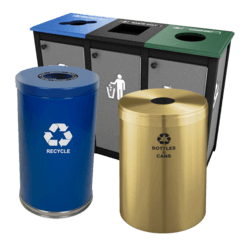 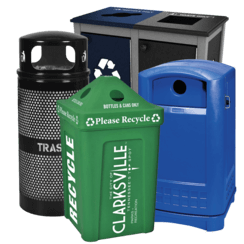 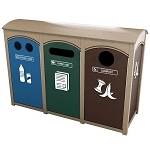 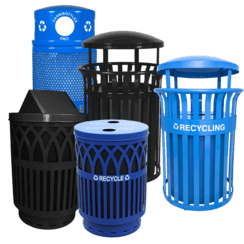 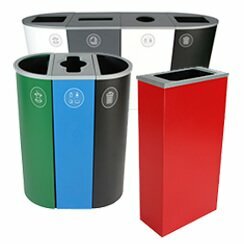 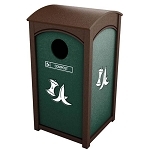 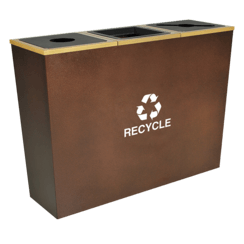 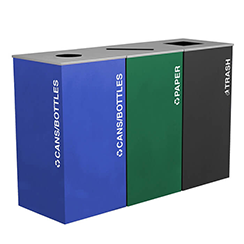 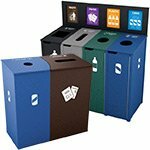 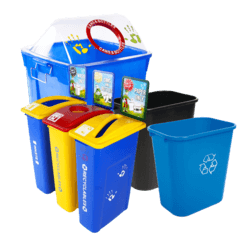 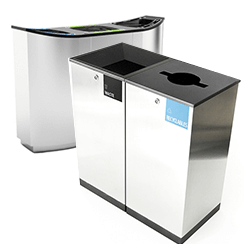 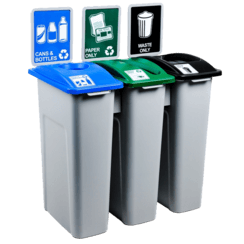 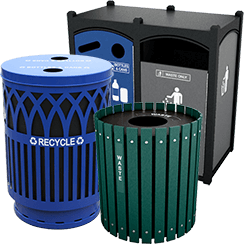 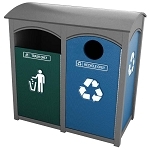 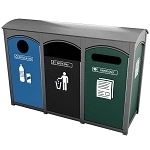 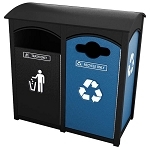 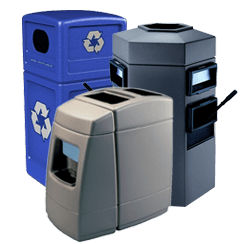 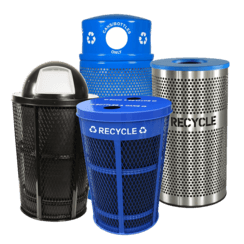 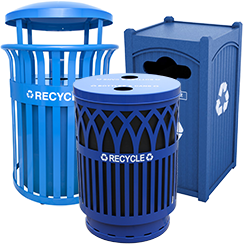 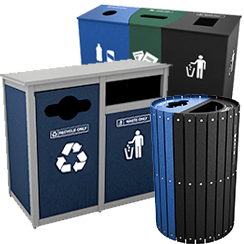 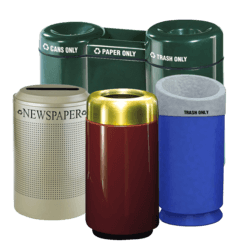 Easy to clean and maintain, these stations and individual trash and recycling units are available with many different openings and in panel colors. 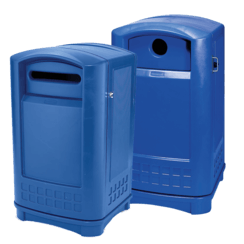 The materials contain high-quality pigments and UV-ray blocking inhibitors, ensuring a long-lasting rich appearance whether placement is outside in the elements or inside your facility. 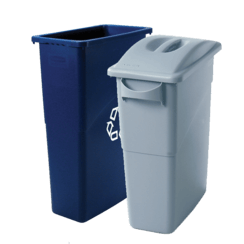 Each Amherst Recycling container includes a rigid plastic liner, allowing maintenance folks easy access and emptying of waste and recycled materials. 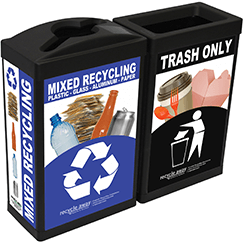 Our new Amherst bins are clearly labelled with icons and text indicating waste streams, ensuring there’s no language barrier in your efforts to implement an effective sustainability program at your institution. 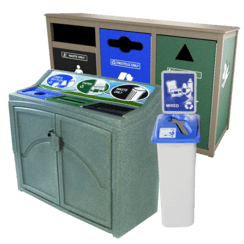 These stations are beautiful as shown or customize your bins with overlaid logos, symbols, restrictive openings and opening ID’s. 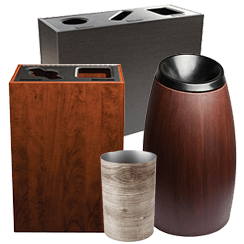 Dado grooved post construction with pocket-screw joinery and marine-grade hardware makes for a nearly indestructible, weather-tough container. 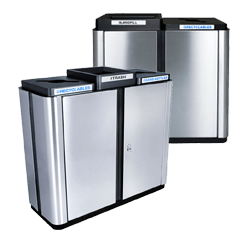 Servicing is made easy with hinged-doors and aforementioned removable plastic liner while metal reinforcements help make the units sturdy and warp resistant. 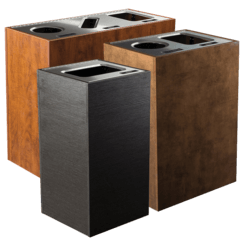 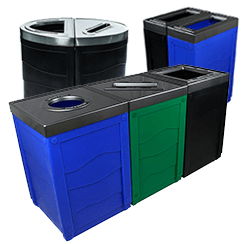 These Amherst bins are easy to reposition and move with optional casters. 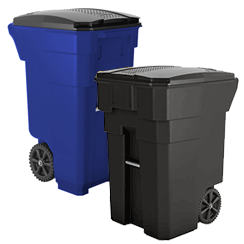 Keep out the garbage thieves with cam locks and prevent critters from hanging-out and snacking on waste with optional flap-doors. 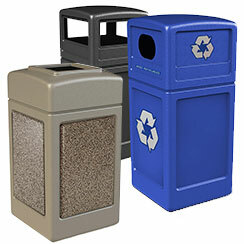 Amherst and all Sustainability bins are impervious to moisture, insects and mold thanks to Type-2 Materials. 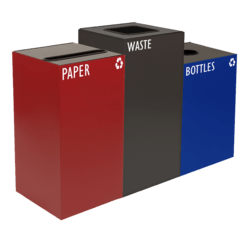 No need to worry about splintering or annoying wood-devouring insects and termites, these plastic lumber recycling units are on their no-fly list! 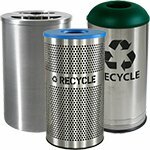 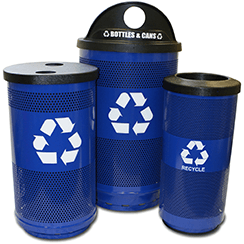 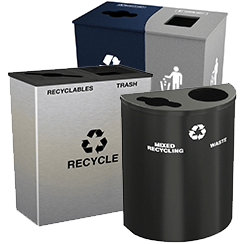 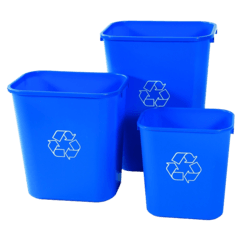 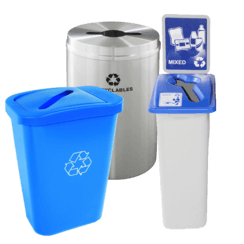 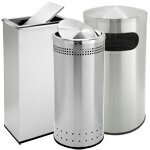 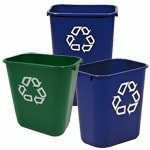 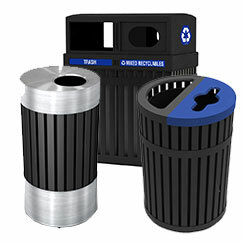 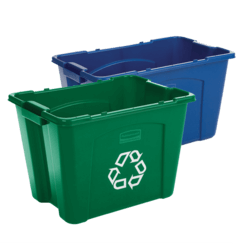 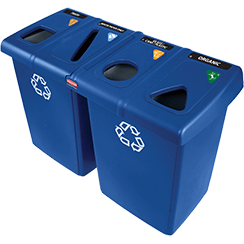 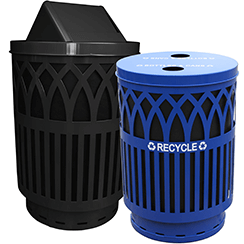 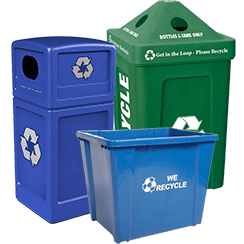 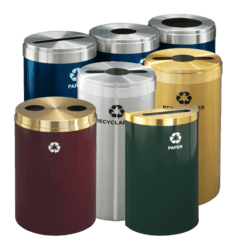 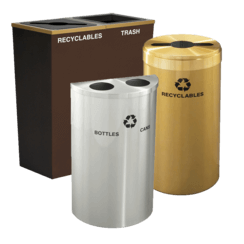 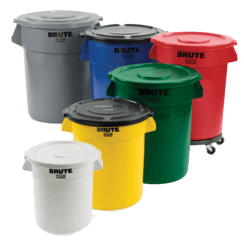 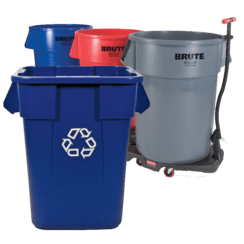 We’re proud to offer the Amherst Collection of Recycling and Waste containers in single, double and triple configurations. 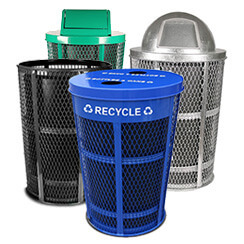 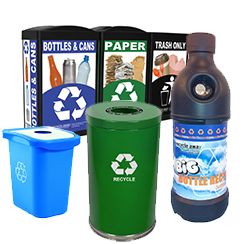 Our recycling and waste container experts are here to help you. 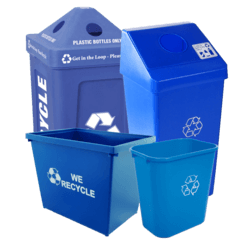 Please call, email or chat with us if you have any questions, we’d love to hear from you. 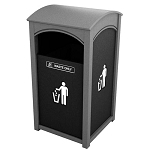 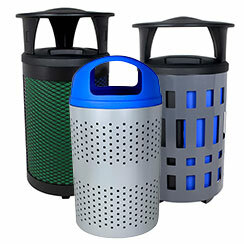 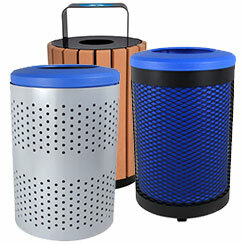 You can also request-a-quote on any bin on our website directly from every product page. 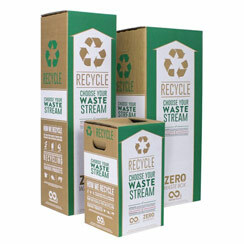 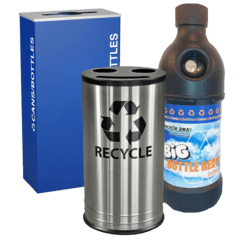 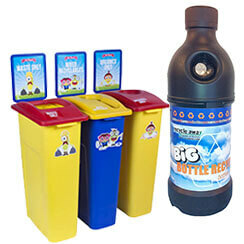 Best of luck with your sustainability program, thanks for considering Recycle Away.